Device in question is against the wall on the left, dark restaurant with an iPhone 4 camera. Last week I saw a guy using a touch-screen phone that was super thin with a big bright screen and almost zero bezel. It immediately caught my attention and I asked my friend Kayla, who was facing the table, to let me know if the guy picked it up and used it. It had been, until then, left to sit on the table unused. The guy this friend was talking to said something that made the guy pull out his phone and pull up the notepad. This was when Kayla and I realized, this super thin phone was an iPhone. Sure enough, the home screen came back up and it was iOS. It appeared that the screen took up most of the device, it was super thin, and shorter than the current iPhone. The phone was wrapped in matte black, almost like gaffers tape. It is thinner than I was able to convey in this mockup, almost as thin as a Motorola Razor screen. I’m no good at making mockups but I did my best to illustrate what we saw. These guys were talking about a new cloud service that was similar to “AWS” but had “no net loss.” AWS, for those who don’t know, means “Amazon Web Services” which provide a plethora of syncing and data hosting services, as well as Amazon’s new cloud music system. 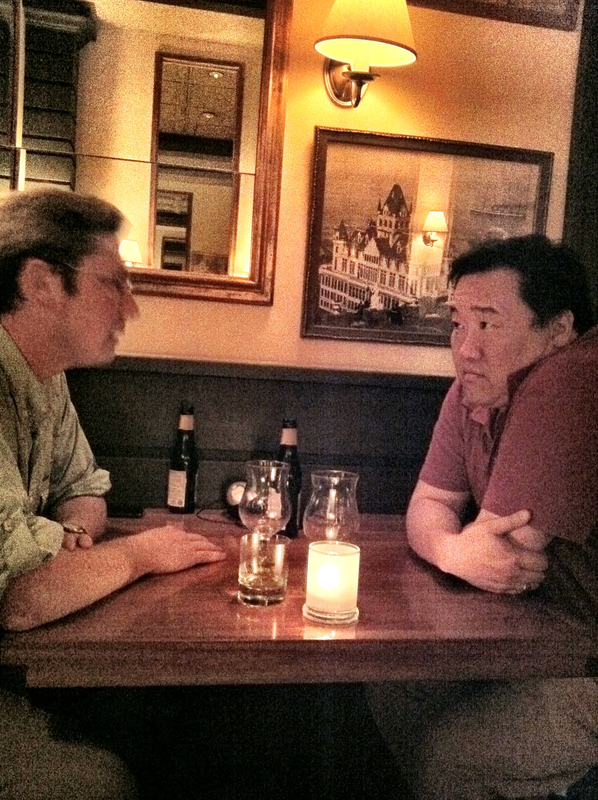 We did our best to listen to their conversation as they drank beers but didn’t pull too much from it. Watching the WWDC live right now I now understand more of what they were talking about, which leads credence to the theory that this phone was indeed an iPhone 5. UPDATE: So after being mentioned on the TWiT Network and WWDC coming to pass, a post by Joshua Topolsky came to my attention about the design of the iPhone 5 via another blog post on some other tech site (too many to remember). Joshua (or his people) made their own mockup and it is scary similar to the design I saw (and tried to mockup myself). Over the last few weeks, Verizon has subjected anyone in front of a television with some pretty interesting commercials. Kind of… Clovererfield/Transformers-esque. I’ll go ahead and post one here for your enjoyment. And then of course, the original advertisement. Anti-Apple much? I’m definitely an Apple Fanboy at this point and you might expect that I would be pissed that Verizon would put out such a commercial. Not really though because it seems to me that it’s about time Apple’s iPhone got some real competition and if that’s the Droid, then bring on the ads. 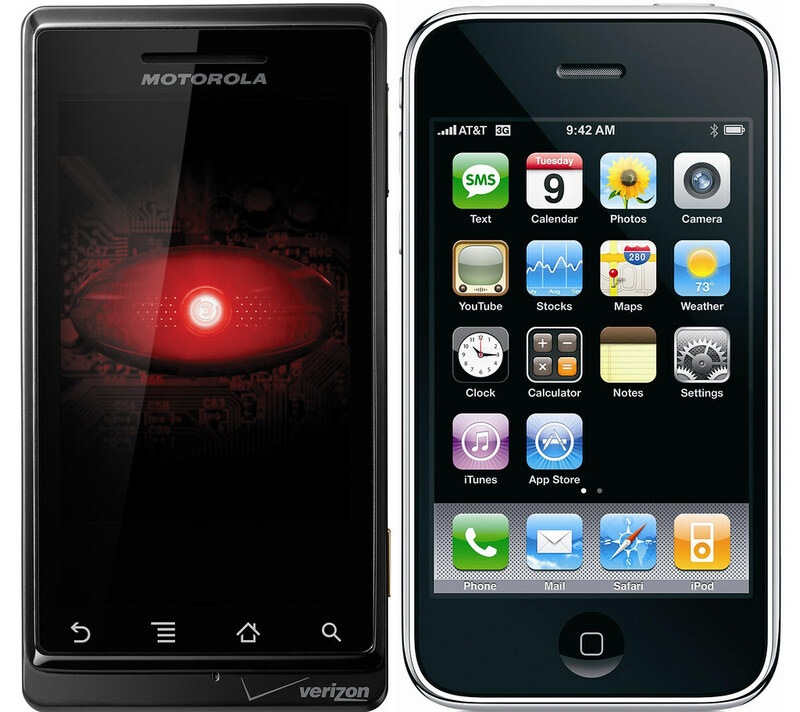 So there you go, Verizon + Motorola + Google Android = DROID = iPhone Killer. Fantastic. Competition is good! Apple will again begin pushing the limits on what a phone can do. Maybe go after those attacks about no flash, only 2mp camera, etc etc. Meanwhile, since the DROID phone is so closely tied to Verizon and the iPhone to AT&T, maybe we’ll see some benefits there too right? AT&T has horrendous 3G coverage around the nation, especially when compared to Verizon. That’s an obvious first step on AT&T’s part. How about cost? I pay my iPhone bill every month and every month I think… wow that’s a lot of money. I bet with the DROID phone, Verizon will go after AT&T’s bottom line. Make their DROID plans significantly cheaper than the iPhone. Any amount over $10 is a dramatic difference, if they were $30 a month cheaper I might even be tempted to switch! Better 3G coverage and cheaper monthly plans?! Well, unfortunately, Ronald Reagan was wrong. Competition doesn’t fuel the benefits he and other “Reaganomics” economists promised. 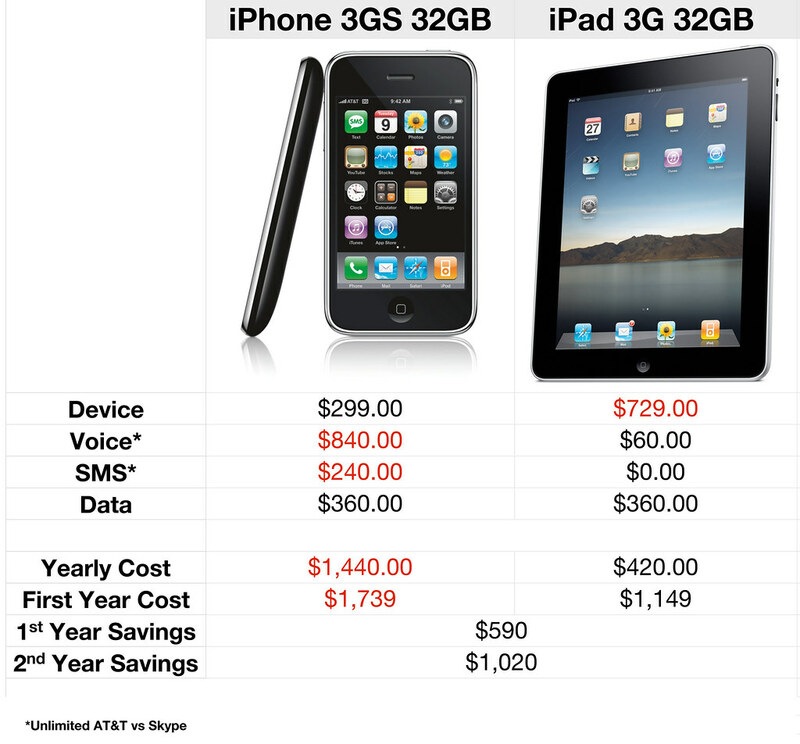 For the most part, the DROID cost of ownership is exactly the same as the iPhone with only one plan cheaper. By how much? 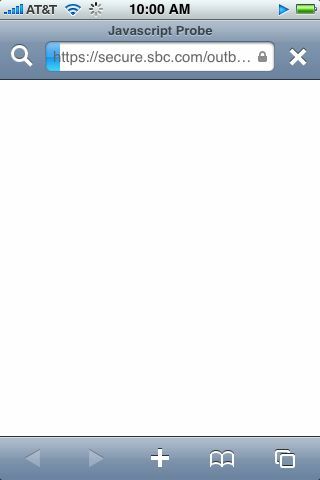 By a massive $0.01! Wow that’s disappointing. When you break down the differences in price which is only in the text message options, it becomes a total wash. 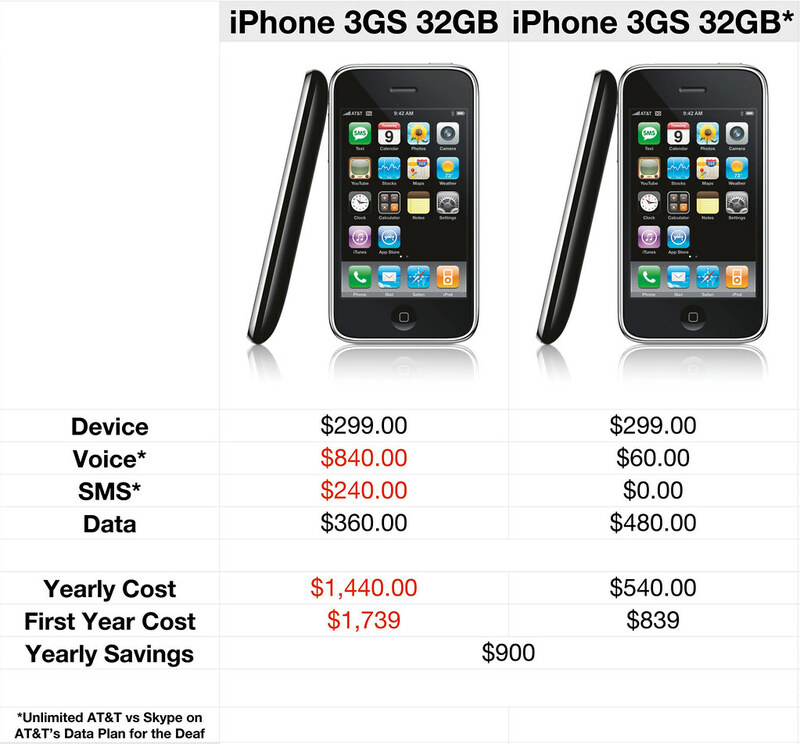 The DROID is cheaper for the small text message plan (250 vs 200 messages) but for the high end the iPhone is better (5000 vs unlimited). Guess I’ll stick to my iPhone. UPDATE: Turns out Verizon plans to charge $15/month for access to Exchange on the DROID, something A&T doesn’t charge for on the iPhone. So if you, like me, use Exchange on your phone, turns out the iPhone is $180 a year cheaper, $360 for the length of the contract which is around or more than than the price of getting out of your contract with either carrier! Let’s get a bit political. The Republicans are saying that natural competition between insurance companies will decrease the price of premiums and increase the availability of coverage. Well, not so true as seen here. When companies are in collusion with each other to keep prices at a certain point, they have no real reason to undercut the competition. Ugh. For the last week or so I have been unable to log into my AT&T WiFi account at any of the three Starbucks here in Columbia. I have three ways to log into the new WiFi network; AT&T Uverse, Starbucks Rewards and my iPhone. If any of these methods would work, that would be one thing, but for all mediums to be down, and for this length of time, that is crazy. AT&T needs to get their act together. After waiting a day to get the iPhone and avoid the massive lines and over night stays required to get one on the first day, Ryan and I packed up early and headed to San Antonio where we waited in a short line (we were number 22) for the new iPhone. They told us they had 36 on hand in the store, 5 black 16gb, 10 white 16gb, and the rest black 8gb iPhones. Of course I wanted a 16gb and of course I wanted it in black. Unfortunately, or so I thought, the last black 16gb iPhone was sold to the guy in front of me. However, the white one is’nt so bad after all. In fact, I like the look o the white one more than the black one so I guess in a way, I lucked out. We got the phone no problem, I got the black inscipio case and the really nice screen protectors and pulled out my laptop to finish the setup. We figured we might as well get it all activated before leaving the store, should there be any problems. I used my Verizon Wireless wifi card to get on the Internet and in no time at all my phone was activated and syncing up my music and applications. Anyways, I digress. The AT&T people did the best they could and everything went so perfectly and smoothly, not a single hiccup. So far the new iPhone 3G is everything I was promised. Great service, great speeds, great built quality and the battery life is working out just fine for me. No complaints from me so far but if I get anything, I’ll be sure to let you know. So it looks like I will be getting the 3G iPhone this Saturday and I need help choosing a color. 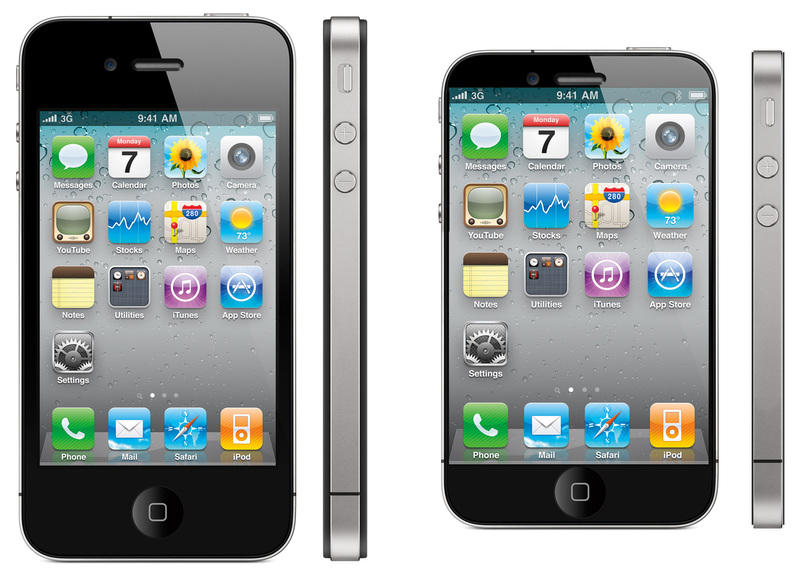 Should I get the 16gb iPhone in Black or White? I really appreciate your votes on this! 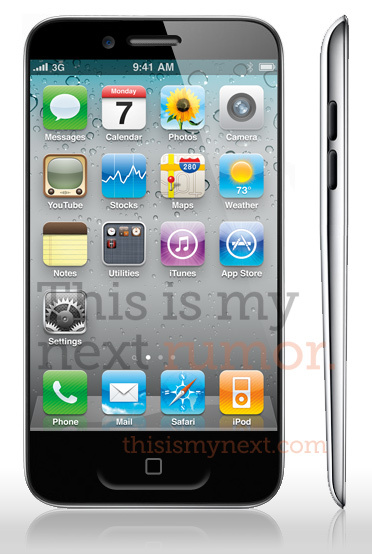 I am leaning towards to the black iPhone, looks sleek and should not show dirt as easily. The white is luxurious but kinda not my style, I think… Hmmm… Either way they will be in a case. Last night I had a dream I was getting my iPhone, the AT&T store was guarded by Apple employees with machine guns. It was scary.